Why are hockey sticks so expensive? Hockey stick prices have gone up 1,000% since the 1980’s and early 90’s when you could easily find a number of Sherwood, Titan, Christian, KOHO, etc. wood stick options for $25-$30 a piece. Nowadays, top-of-the-line hockey sticks run $250 to $300+ per stick. We’ve heard of inflation but what gives?! Up until Wayne Gretzky’s endorsement deal to use Easton aluminum hockey sticks in 1990, a vast majority of all hockey players used nothing but wood sticks. And it wasn’t until the 1970’s the wood stick was upgraded by being reinforced with fiberglass. 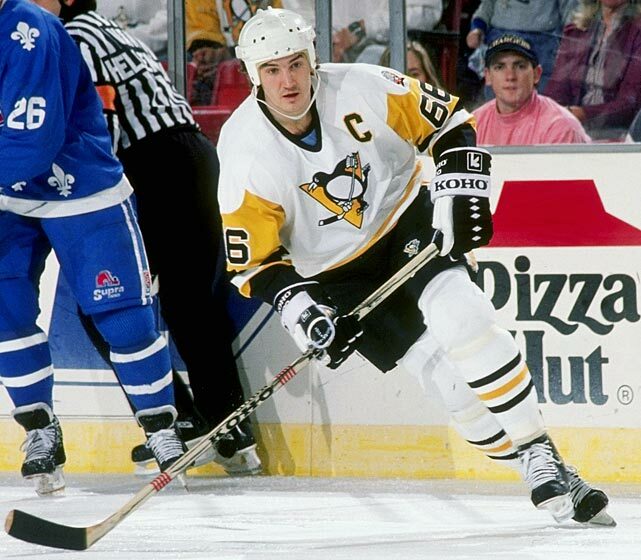 Mario Lemieux using a KOHO wood-fiberglass stick in ‘88-’89 en route to recording 199 points, the highest point total ever recorded by someone not named Gretzky. Although aluminum sticks were made legal in the NHL in 1981, Gretzky’s endorsement combined with Brett Hull torching NHL goalies for 86 goals in the 1990-91 season using an Easton two-piece, supplanted the aluminum shaft as an upgrade to wood – although, they were double the price on average compared to the wood-fiberglass alternatives. Aluminum sticks took the market by storm but not for long, as carbon fiber was first introduced for hockey shafts and eventually used for blades in 1995, which Paul Kariya used to score 50 goals. Then, in 2000, Easton introduced the first composite one-piece that forever changed the game, the original Synergy. Since 2000, every stick company either jumped on the carbon fiber one-piece bandwagon or went out of business as hockey players of all levels loved their lightweight and performance. But, there were two issues with carbon fiber hockey sticks: durability and cost. Fortunately, millions of prototypes, research hours, and games helped the hockey community identify the best materials to construct a hockey stick, for both performance and durability. While some stick companies still utilize 3k or 12k twill, a vast majority of all the top-of-the-line hockey sticks are now made of 100% 18k twill carbon fiber. Okay, so wood and fiberglass in the 70’s-80’s, aluminum and carbon fiber in the 90’s, true one-piece sticks in the 2000’s, but why are they 10 times the cost?! Like all products, the price of a hockey stick is a result of the materials and labor required to make it, plus all the marketing expenses, the costs to distribute the product, and of course, the desired profit from the company’s shareholders. So why are hockey sticks so expensive? Let’s examine the following four factors: materials and labor, endorsements, retailer markup, and Big Company profits. In the interest of performance, hockey sticks quickly transitioned from wood to aluminum to carbon fiber, as you just read. Given its raw materials and production process, carbon fiber is far more expensive than wood and aluminum. But what about labor? Compared to shaping raw timber or casting molten aluminum, manufacturing one-piece carbon fiber hockey sticks is labor-intensive. 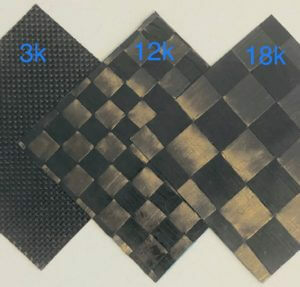 Tows of carbon fiber are woven into sheets of twill carbon (most often 3k, 12k, or 18k, as pictured above) and later cut into shape. Workers then skillfully wrap layers of the woven carbon fiber around an inflatable bladder and into the metal mold of a hockey stick. The mold is then heated while the bladder is inflated to fuse and shape the layers of carbon fiber into a hockey stick. Finally, the one-piece carbon fiber hockey sticks are elaborately decorated. But even with all the extra material and labor costs, there aren’t many hockey players unwilling to shell out the extra cash for a one-piece carbon fiber stick given their weight (or lack thereof) and superior performance. While NHL player endorsements pale in comparison to other major sports, a number of NHL players are paid six-to-seven-figure endorsement deals to promote a brand’s newest model stick. Take for instance Crosby’s 6-year endorsement deal with Adidas (CCM’s parent company) worth an estimated $1 million to $1.5 million per year. Hey, we’re all hockey players here, no one is mad at the players for taking the money but clearly, endorsements cost the end consumer. And considering one brand has McDavid, Crosby, Ovechkin, Burns, Tavares, and MacKinnon signed to long-term deals, it’s obvious they have an exorbitant amount of cash committed to endorsements alone – all being added to the price of their hockey sticks. As large – often publicly traded (more on that below) – companies, they’re not offering these endorsements to give back or expand the game. They are to convince consumers their products are worth a premium. But are they? Do Sid and Ovi really love their stick? Or do they love those million dollar checks? Brick-and-mortar stores still serve a purpose – like a rink pro shop for a hockey player who just ran out of tape, broke a lace, or snapped a twig. But we pay a massive premium for the convenience of our retailer solving a problem right now, as considerable markup is required to offset retail overhead. But if it’s not minutes or hours before your big game, is it worth paying the middle man double for your hockey stick? We don’t think so. Sports, including hockey, are big business. And large companies have pools of investors, whether private equity or publicly traded (like Bauer and CCM), that expect growing profits. What’s the easiest way to increase profit? Raise prices. 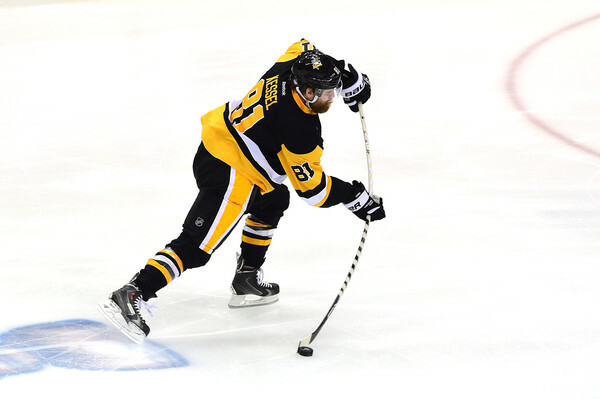 We see the same circus every year: each big name brand announces “revolutionary technology” that’ll turn any squirt or beer leaguer into a bonafide NHL 50-goal scorer. For only $300 you’ll have a “12% faster snapshot” compared to last year’s model (actual Bauer claim) that gets systemically discounted from $300 to $249 to $199 over the course of a year. Apparently, their “revolutionary technology” depreciates faster than a car. Thanks to expenses like $300 hockey sticks, hockey is reserved for affluent families with disposable income. The ideal demographic to exploit on price as performance and quality are prioritized. But what about a stick that performs and lasts without all the added “fluff?” Who likes wasting money? Not us. So, how can someone get an elite performing hockey stick without spending $250+? We, the Hockey Players Club, have done the legwork. We worked tirelessly with the largest stick manufacturers in the world to test countless samples – thank goodness we’re on the ice daily working with aspiring players for our first business, Quest Hockey. Our materials and labor costs are exactly the same as name brand stick companies. But, that’s to be expected when seeking a 100%, 18k carbon fiber, one-piece, top-of-the-line hockey stick. Say that ten times fast. But, we’ve saved you all the other crap! 1. We don’t pay any NHL players to use our sticks. Put a Hockey Players Club XV3 hockey stick in your hands and we know, you’ll know it’s the real deal. 2. We are the brand and distributor so no retailer is jacking up the price of our Hockey Players Club XV3’s. We understand our hockey family spends enough to play a game we love so much. 3. We’re a small company founded by a couple of hockey players who skate every day. No quarterly shareholder meetings to demand higher prices and profits. We’re delighted to serve the hockey community with great products at even better prices. That is how the Hockey Players Club delivers an elite performing stick to your door for $100+ less than the other guys. With a great selection of sticks that ship almost immediately, the Hockey Players Club XV3 hockey stick can be delivered in 1-3 days anywhere in the United States. Or, build a custom XV3 hockey stick perfectly around your game by selecting one of 6 curves (HPC curve chart), any flex imaginable, a grip or non-grip finish, and add your name and number to your nameplate like a pro. All for FREE, just wait 6 weeks for production. Our Hockey Players Club XV3 hockey sticks are wholly designed, tested, used, and distributed by hockey players, for hockey players. 4 Responses to Why Are Hockey Sticks So Expensive? Full Explanation Here!